A Memorial Service for Paul A. Nelson of Williams, MN will be held on Monday, January 28, 2019 at 11:00 AM at Mt. Carmel Lutheran Church in Roosevelt, MN Visitation will be held one hour prior to the service at the church. Interment will be held at Pine Hill Cemetery in Williams, MN at a later date. Paul Nelson passed away on Wednesday, January 23, 2019 at the age of 79. Paul Arthur Nelson, the son of Elizabeth (Thurow) and Harry Nelson was born January 2, 1940 in Aurora, Illinois. He attended school in Oswego, Illinois, graduating from high school in 1958. On July 16, 1961, Paul married Mary Swanquist. Paul and Mary were married for 50 years until Mary’s passing in 2011. They lived in Oswego, Illinois where Paul worked for Caterpillar until they moved to Williams, Minnesota, in 1977 to farm and raise their three children. Paul worked various jobs including the Williams Forestry, City of Williams, and then went on to work at Marvin Windows in 1985 until his retirement in 1998. He continued farming after retirement and loved to garden. He was particularly proud of his pumpkins, squash and asparagus plants. Anyone who knew Paul knew how he loved to talk and visit and especially about drag racing days back in Illinois. Paul always dreamed of owning a brand new Corvette. 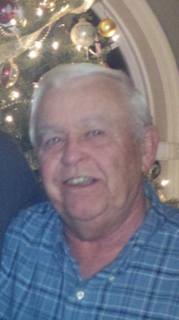 Paul passed away on Wednesday, January 23, 2019, at Lakewood Health Center in Baudette at the age of 79. He is survived by his children, Christine (Steve) Hall of Bismarck, ND; Stephen (Sherri) Nelson of Salol, MN; and Scott (Crystal) Nelson of Williams, MN; grandchildren Brian (Ashley), Aaron (Heather) Hall and Kelsie (Jonny) Gustin; Jaime (Matt) Manka, Jody (Brooke) Nelson, Kane Nelson, Justin (Chelsea) Hedlund, and Jackson Nelson; Samantha and Nickolas Nelson; his sister, Joyce Everson of Montgomery, IL; and six great grandchildren. He is preceded in death by his parents, wife Mary, newborn daughter Sara, granddaughter Richelle Nelson, brothers David and Robert Nelson, and brother-in-law Bill Swanquist.